A silly idea I know, but I wonder if anyone has ever plotted all the locations that are used as Filofax Organiser model names on a map? To get you started I've put the above locations on a Google Map, you should be able to add other locations. I know people plan pub crawls around the London Underground using Google Maps... but a Filofax tour... that would be different!! As mentioned in FFAF no. 75, I have just moved to France. This has been a long term plan of my wife and I, so it wasn't a sudden thing. I've effectively retired from full time work as well (More time for Philofaxy!). As this was our first house move in 24 years, you can imagine it was a fairly major move. The date of our move wasn't finalised until about 4 weeks before the actual move due to being linked to the sale of our UK house. I sort the advice of Laurie, who is a frequent mover between countries... which sounds bad I know!!! But her tips proved very useful and included things I had not thought of. Naturally, my Filofax proved to be very useful in the move, both for the organisation of various lists and for noting down important data. I'm a big user of To-Do lists anyway, so their use didn't surprise me at all. One thing that happened almost by accident was I started to use coloured notepaper (because I had some already) for noting down information for different things, using the different colours to signify different functions and requirements. So utilities went on to green paper, financial on to blue paper etc. 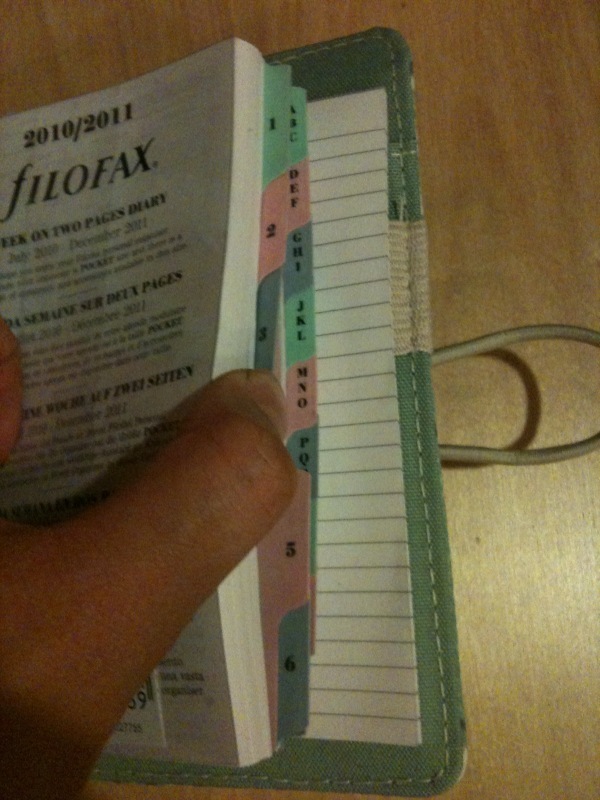 It separated out the different sections in that part of my Filofax without having to use tabbed section dividers. Having used this technique I will certainly use it again. Having had a couple of days to recover from our last day of packing and the journey over to France I've just sat down and rationalised the contents of my two 'working' Filofax organisers. In my Slimline I took out the completed To-Do lists that I'd been slavishly using, and the notepaper information and filed them carefully. As I use the Slimline as my wallet, various cards have been removed... likewise my UK money... I've asked for some pocket money in Euro's from my dear wife. Is it pay day yet was her reply!!! Similarly in my A5 organiser, I've been updating my To-Do lists and started off some new ones of things we have to do now we are here... so the process never finishes, it just moves on to a new phase. Thank you also for all your best wishes, very kind of you. 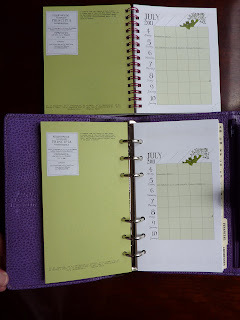 Here is a guest post from Nickie: a review of her Personal size Heart Filofax! Thank you Nickie!! When I saw this Filofax previewed at the end of March 2010 I just knew I had to get one to be the polar opposite to my personal/work A5 black Metropol. I also already had a use for it – it would be my writing journal; somewhere to jot down ideas, keep a log of articles that I’d written, make notes about my blog entries, etc. I ordered it about a week after its release (April 2010) and when it arrived it included a week-to-two page diary to the end of December 2011 (so no need to purchase a new diary insert at the end of this year), pastel shaded 1-6 dividers (in green, pink and blue) with the 13-section A-Z in the same pastel shades. Also included were the usual transparent flyleaf, the ruler-page marker, the World map, four pages of coloured and ruled paper in the same pastel shades, name and address sheets, to-do sheets, white ruled notepaper and a top opening envelope (which I always find really handy). 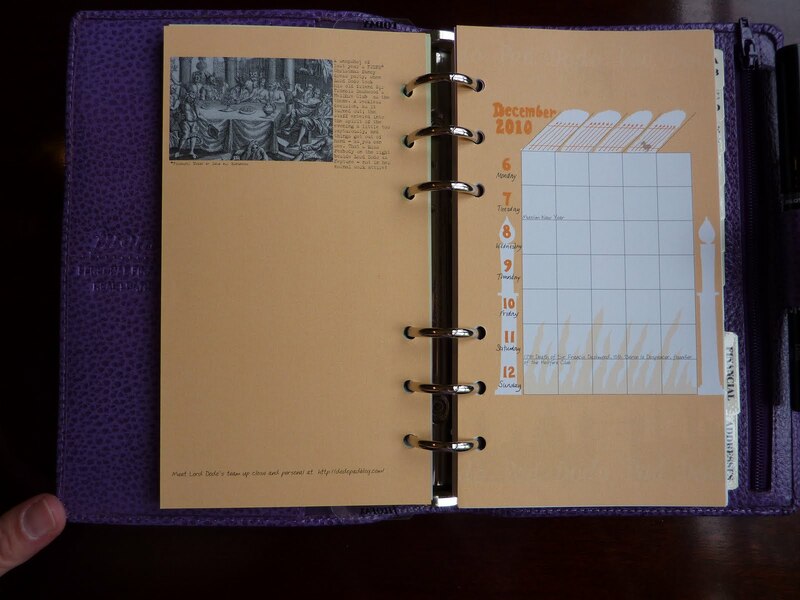 Both the front and rear inside covers are a mid-purple colour, each with a pocket. A purple elasticated pen holder is on the right hand side of the Filofax and a purple elastic loop holds the Filofax closed. If I was to make one criticism, it would be to say that the cover is textured and will get dirty easily and not wipe clean. As I mentioned (and I know that Laurie is on the edge of her seat waiting for this bit...), the Filofax is now in everyday use as my writing journal. 1. 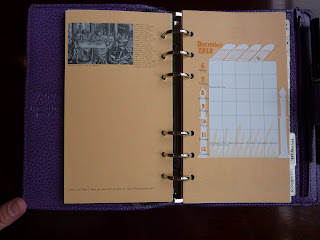 I have the diary in section 1 where I record all the pieces I have uploaded to my blog, the dates that I have pieces published away from my blog and a reminder of any dates where I am due to submit pieces that I have been commissioned to write. At the back of section 1 is my name and address section. 2. In section 2 are all the notes and ideas for a parenting website that I write for Mumable. 3. Section 3 houses all my blog notes (settings, schedule for a series of stories/guest posts, interview notes). 4. Section 4 is my scrapbook – here are all my ideas for blog posts, short stories, the two novels that I eventually want to write, quotes, snippets of over-heard conversations, lists, character names, etc and it is TOP SECRET! 5. Section 5 is where I store all my writing course notes and prompts. I am a member of an e-Writing Course at the moment and also receive weekly prompts from another blog to help hone my writing skills and to let me experiment with different styles and genres. 6. Section 6 is “all the rest” – spare pages, blank to-do lists and day planner pages ready to use and slip into the appropriate diary page and the obligatory World map. I have bought more page inserts for my Filofax since and I have kept in with the theme of pastel shades. I think that this Filofax is definitely a “girlie” organiser and was aptly timed for a Spring release. It is also one of the most affordable Filofaxes that I have seen for a while. Many thanks again to Nickie for this excellent review! And don't miss her blog Typecast! Well this week I've moved to France... I think it will rank somewhere in amongst the other big changes in my life such as becoming a father and getting married. But using my Filofax has certainly helped. I will do a post about it soon, or as soon as I've recovered from the journey!! But as it is Friday, please feel free to discuss anything Filofax related. 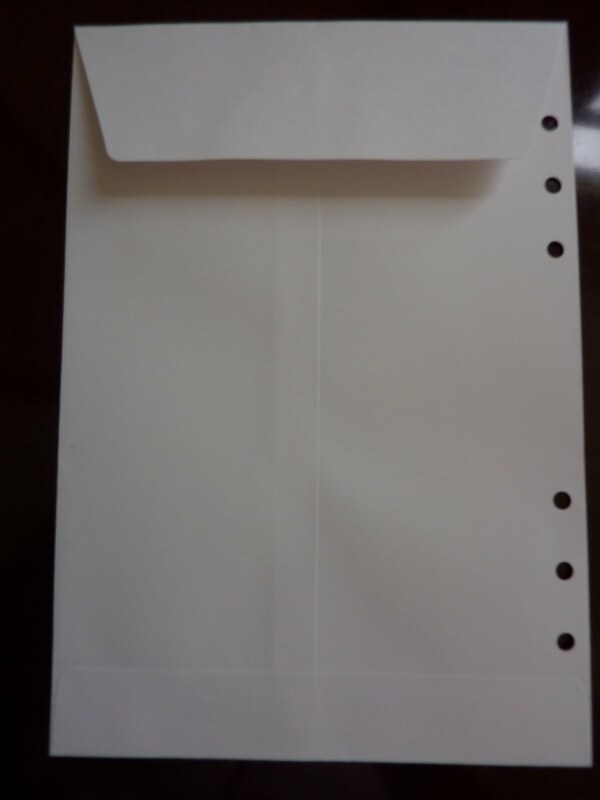 I received the A5 size Filofax Receipts Envelopes as a generous sample from Brigitte at the Filofax shop in London. Thank you again Brigitte! The A5 Receipts Envelopes fit perfectly on the rings of the A5 Filofax binders. If you carry your A5 Filofax with you everywhere, you can keep the Receipt Envelope on the rings (in your Financial Section if you like, as I do) to have on hand at all times. If you don't want to carry your A5 Filofax around everywhere, you can just carry this envelope. It is too large to fit into a pocket but is certainly small enough to fit into any bag. Technically I suppose you could fold it to fit in your pocket, but I am opposed to folding such a perfect thing. Then when you get back home or to the office, you can archive the envelope in your A5 Filofax. It's very handy to be able to write all the details of each expense, then pop the receipt right in. When you get back to your office, you just take the receipts out and use your detailed record to do up your expense report. No more trying to remember which day you had that big expense or what exactly that vague receipt was for. The envelope has a non-adhesive closure flap, so you don't have to worry about the envelope unintentionally sealing shut. When you need to close it, a glue stick or some tape will do the trick easily. Also this side of the envelope is blank so you can make notes or continue your totals from the other side if you need to. Obviously this is perfect for a business traveler, but it's also very useful for anyone who is trying to budget and get a better handle on their finances. It's very helpful to carry this envelope with you during the day to record your expenditures and tuck in those receipts. 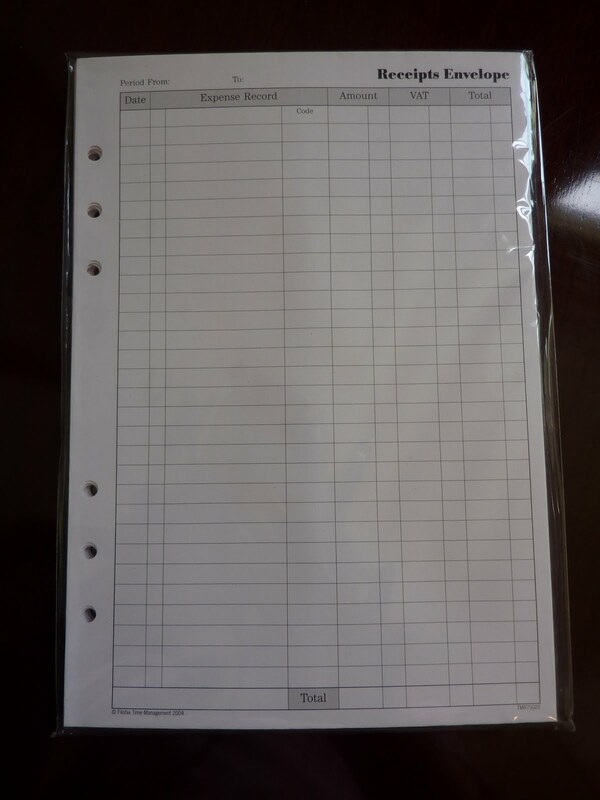 The Receipts Envelopes are available on the Filofax UK website under accessories for the Time Management system (click here to see the page where you can purchase it). As far as I can tell, Filofax Time Management system products are not available in the US. So, those of you in the US, add this to your list of cool Filofax products to order from Filofax UK! I hope it will be available in the US soon! It's an excellent, very useful product from Filofax. Many thanks to reader Bernhard for this excellent guest post! Yuppie equipment of the 1980s: A Filofax Buckingham, "Made in England" and a Rolex watch. During the 1980s, organising and coordinating work and private life became an essential need for me. Today I know that one will end up with the most simple solution available. But let's go back to the 1980s. Electronics didn't offer really much at this time - there were organisers by Sharp to store some 50 names and phone numbers which wasn't even enough for my mates in the soccer club. Then news about a trendy binder to be used by prominent owners made me curious: What was that Filofax thing? 1987, staying as a tourist in London, I bought a Buckingham Personal in Lewisham Highstreet. I'm still proud that I didn't choose a Winchester at Harrod's with their logo engraved into it because Lewisham offered more authentic locals than the tourist traps around Leicester Square. In fact, these guys were completely convinced that the 1966 Wembley goal was absolutely correct. A Winchester Personal followed in 1994 completing my new collection of a 1991 Slimline with gold-plated corners and a 1992 Slimline Executive of kid leather, all of them "Made in England" and lying flat on the desk after opening. 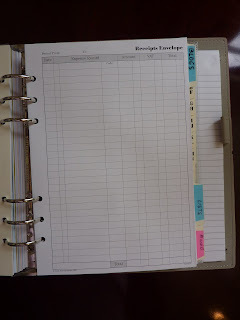 By the way: In German business management and IT industry, one organizer brand was even more popular than the Filofax: For creating a professional impression, almost everybody owned an A5 "TimeSystem" with its costly paper content. My eyes were getting weaker so I started writing bigger characters, and the Personal format got too small so that I bought a red Filofax Ascot A5 in 2000. 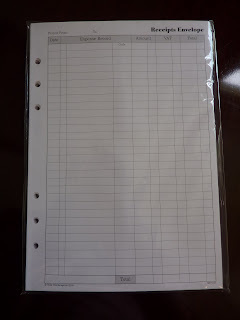 This ring binder is like the actual Amazona model, but "Made in USA", most probably by DayRunner who had aquired Filofax by then and outsourced production. The Ascot proved to be the last Filofax I used on the desk, plus a mobile Slimline for all sorts of cards and the calender. But electronics became stronger these days. I changed to the Mac to process my calender and contacts and the Filofax era seemed to be history. But PDAs, Blackberrys and the iPhone didn't work simple enough. Typing short notes into an electronic device is a really stupid thing to do, you have to care for battery lifetime, synchronising new content. And never let your mobile drop to the ground! As a reward, it makes you look a real professional juggling your iPhone all during the day. Slowly but surely the Filofax Slimline had a comeback - today it's essential for the most comfortable way of organising my life: I use the Slimline as my calendar and wallet because it is easy to take anywhere, six credit card holders are sufficient for traveling and it has some spare paper for notes when I'm out of the office. In comparison to the actual models I am relieved that I may use this older model which is of better leather material and craftsmanship. Calls, tasks and items to buy are on a simple A4 sheet of paper which is on my desk, urgent things are marked by sticky notes in the Slimline. The A5 Ascot finally serves an archive for anything I should keep, organising these data with an A-Z index. Last month I discovered a Filofax Finsbury A5 Folder made of black leather which is a perfect desk accessory: I can dump all my notes there no matter which format and check them during the weekend. Best thing: This folder cost only 19 Euro in a Karstadt shop because this retail chain went out of business recently. In 1987, I had paid some 70 Euro for the Buckingham and some 80 Euro for the Slimline in 1992. Because prices have doubled in Germany since then, these models would still be top-of-the line of today's Filofax range. Good things never go out of style, I guess. PS: A special thanks for Philofaxy because here I learned how to use sticky notes which are a perfect reminder to important tasks or appointments. 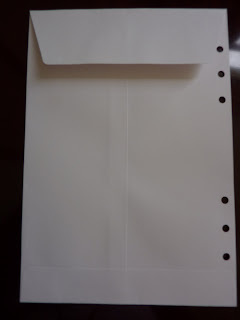 A reader contacted me to ask if there is any other brand of 6-hole punch besides the Filofax brand that will punch holes in A5 paper to fit Filofax binders? I don't know of any, but I figured if it exists somebody here will know about it! School holidays are not that far off, only a few weeks away for most children I guess. My own son is just about to graduate from university and start work. But I'm sure there are plenty of you with school age children. 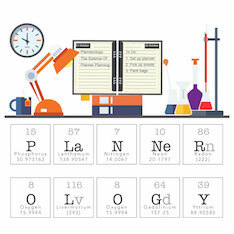 Daytimer recently published an article about Nine Ways to Organize the End of School Year. 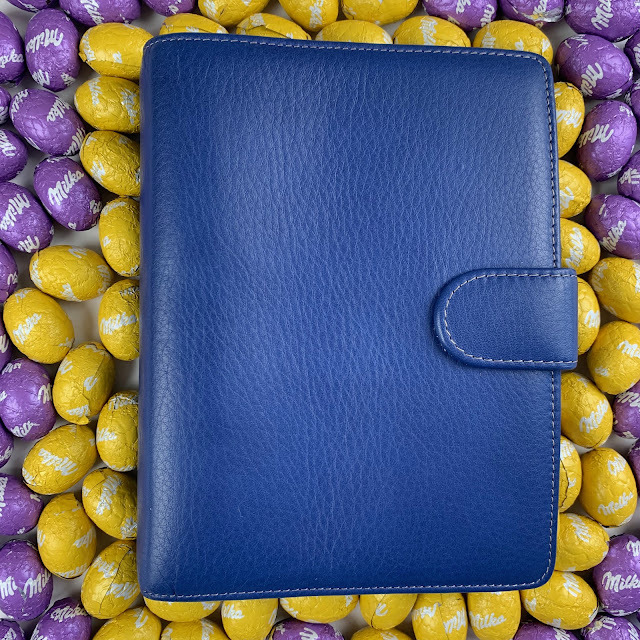 But of course you can use your Filofax to organise your school holidays. If you are planning a gap year, then a Filofax would be a great way of planning your travels. What ever you are doing, I hope you have a great break. IT'S OUR 500TH POST HERE ON PHILOFAXY!!!! Hooray!!!!!! To celebrate our 500th post, tell us your favorite Philofaxy post or your fondest Philofaxy memories. And as always on Fridays, the floor is yours for any Filofax chat you wish. Thank you so much to all of you, our readers! Nan, Steve and I have a great time writing here on Philofaxy because of our wonderful community of readers. We really appreciate you reading Philofaxy, we enjoy your comments and discussions, and we look forward to many hundreds of posts to come! 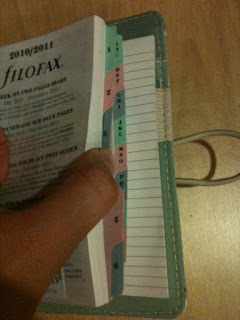 Filofax UK have posted some pictures of new products that are going to be added to the range soon. So I was thinking the other day about the organisers currently available and comparing them to the organisers available in the 1980's. There's been plenty of discussion about the quality of modern organisers not being up to the same standards as those in the 1980's. But lets look again at what is currently on offer and see if there are any that get close to the quality. So if money was no object... and you wanted to buy one of the current organisers in say Personal or A5 size, which would you buy? I'm ruling out any of the 'fashionable' ones with fancy decoration on the outside... sorry, but we want a general workhorse that will last a good few years, it won't look too dated after a few years either. I think leather is a must if it is going to last more than say 5 years. I'm not too fussed about colours, so we shouldn't be constrained by that. I was also looking back at Laurie's post about her chat with Brigitte in the Filofax shop, particularly her comments about leather interiors being more harder wearing compared to cloth.Which ranges have leather interiors? I've looked at the photo's on the site and it is not easy to tell the difference. So your thoughts please in the comments. 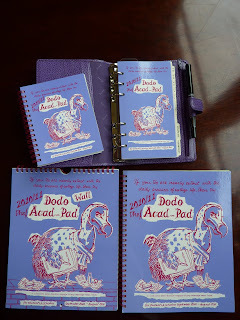 I just got word yesterday that a box of 96 Dodo Pad 2010 A5 Filofax diary inserts was unexpectedly found in their inventory (previously ‘lost’ in the warehouse! 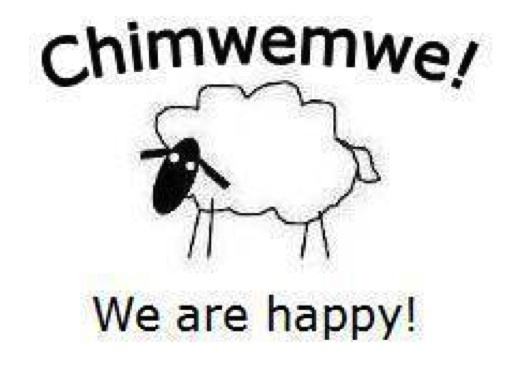 ), and now Dodo Pad wants to move them out. Since this is the first year for this product, at this point they just want to get them into customers' hands in the hopes that you will like them, and want to buy them again for next year. Lord Dodo's Ebay shop has these diary inserts for a very low price. Or, you can make an offer - I encourage you to see how low you can go! Shipping has even been discounted to the bare minimum, especially for overseas orders. It's a great time to try it and see if you like it – it's certainly the most fun, yet highly functional, diary insert for an A5 Filofax I've ever seen. 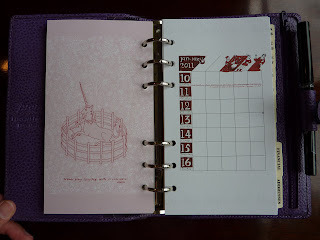 Here is the link to the diary insert on Ebay.com, with the discounted International shipping. Here is the link to the A5 Dodo Pad 2010 Filofax inserts on Ebay UK. * Disclaimer: I am affiliated with Dodo Pad, but not a representative of Dodo Pad. I do not make any money from these products, so this is in no way a sales pitch. 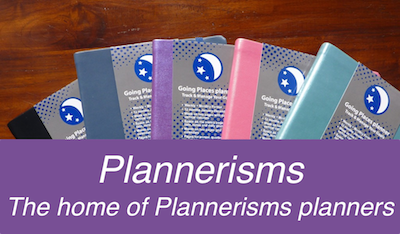 I use this product myself, and I love it (which is saying a lot from someone who's as fickle about planners as I am!) and I think lots of people would like it too. This is a great opportunity to try the product for a very low price. The Dodo Acad-Pad is the academic-year version of the Dodo Pad diary. This is a very popular planner/ diary for students, teachers, school administrators, parents and others on an academic-year schedule. The Acad-Pads sell out every year (so everyone is encouraged to get theirs soon!). Most of you have read about Dodo Pad diaries, whether here or over on Plannerisms. 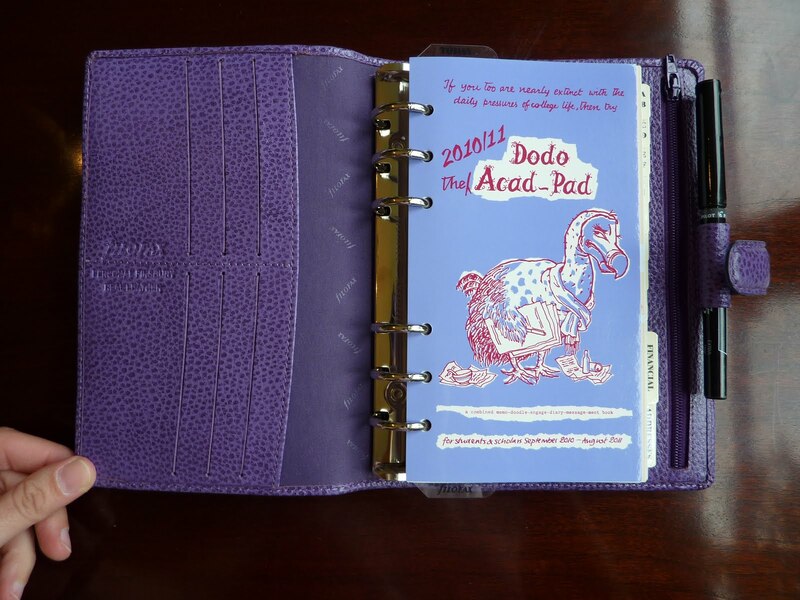 For the uninitiated, you can check out www.dodopad.com to see what these fun, quirky diaries are all about. Due to popular demand, the Acad-Pad academic-year diary is now available as an insert for the personal size Filofax (or equivalent size binder)! There were a lot of customers who couldn't live without their Filofax, but didn't want to have to sacrifice the intelligent fun of their Dodo Pad diary. Now these lucky people have the best of both worlds! The 2010/ 2011 Acad-Pad Filofax inserts are available now, and the 2011 Dodo Pad Filofax inserts (both A5 and Personal size) are available now for pre-order, to be delivered in early July. While I was in London last month I had the wonderful opportunity to meet Rebecca, Managing Director of Dodo Pad. She very generously gave me samples of the Acad-Pad diaries in all their forms: original desk size, wall calendar, mini pocket size, and the new Filofax insert! 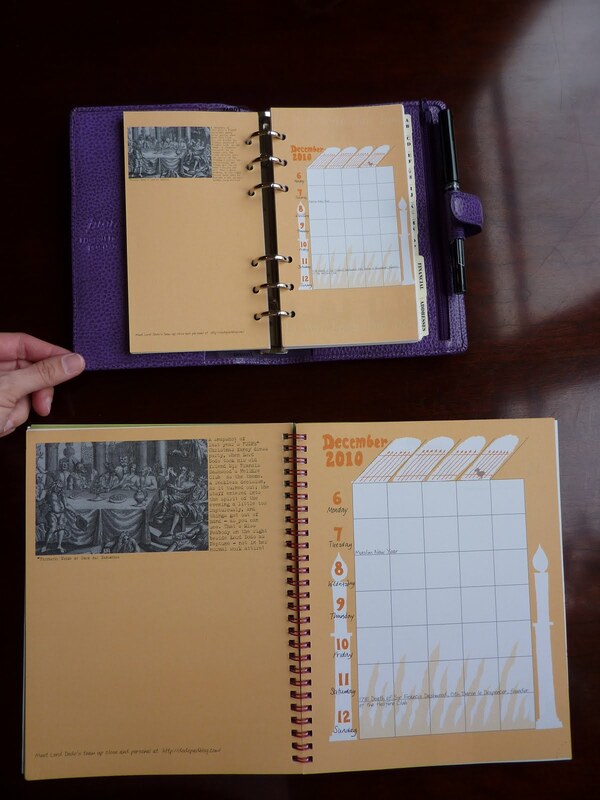 She told me about formatting the diaries and the way they were able to scale down the weekly grid and the artwork to fit the size and shape of the personal insert pages. It was an interesting glimpse into diary design! Here is an excellent short You Tube video of Rebecca at the London Book Fair being interviewed for the Book Channel. In this video she talks about the Acad-Pads and Dodo Pads, and various ways to use them. Rebecca also mentions several of the other Dodo organizers. It's a great insight into the products. Here you can see the entire range of Acad-Pads: the diary insert in my purple personal Finsbury (which I think looks great. Of course I love this year's cover color! ), with the Mini size Acad-Pad lying on the inside cover. Bottom right is the original desk diary Acad-Pad, and on the bottom left is the Wall Acad-Pad, which is identical to the desk one but hangs up on the wall. 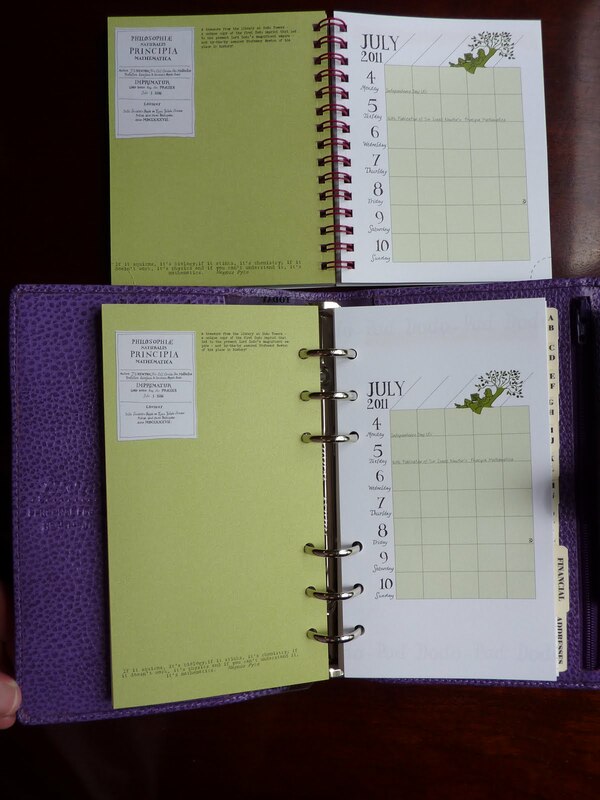 Below is a photo to show the size difference between the desk diary and the personal size Filofax insert. 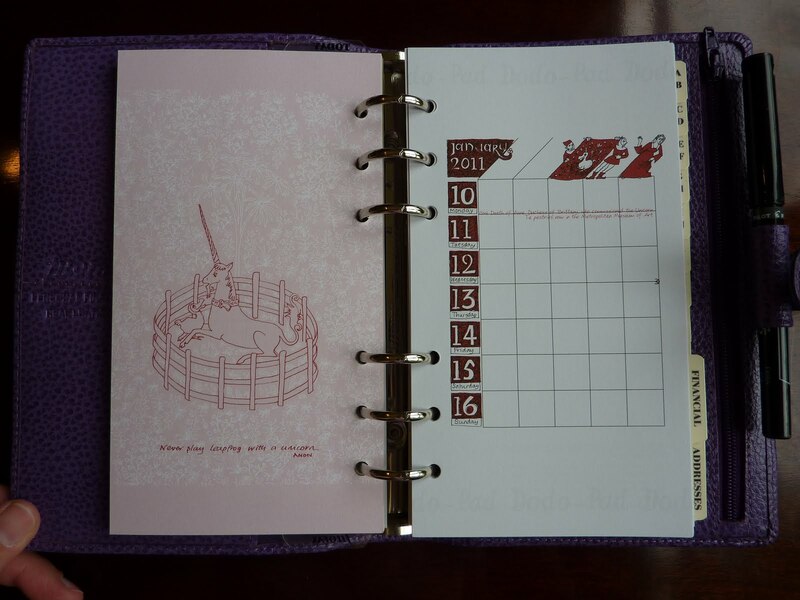 For scale, the desk diary measures 9 1/2 by 7 1/2 inches (24 x 19 cm). You can also see some of the formatting changes required to fit the Personal size page (which you can see more easily if you click on the photo for a larger view). Below is a photo of the personal size insert with the Mini size Acad-Pad, which measures 4.25 by 5.25 inches (11 x 13.5 cm). The weekly grid in the Personal size is just slightly smaller than in the Mini, but the Personal has more room in the margins for notes. Look closely at the picture in this one to get a glimpse of Miss Peabody, and Lord Dodo himself! There are endless ways to use the weekly grid. Some people label the columns morning/ afternoon/ evening, with to-dos and deadlines. Or, you can do what I do in my A5 Dodo Pad diary insert and write across the boxes. It's very flexible, and you can use it differently week to week if you want to. For more information about the range of Filofax-compatible Dodo Pad diary inserts, you can read Miss Peabody's blog post about it on www.dodopadblog.com. Those of you who use an A5 size Filofax and are interested in trying the Dodo Pad insert for it, the 2010 inserts are now available on ebay for a very low price while supplies last. If interested click here to check them out. So UK has been gripped in election fever all week, and if any of you have been following the news we have had a change of government. 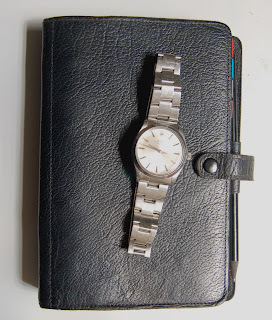 A lot of the commentators have been comparing things to the 1980's and of course Filofax has been getting lots of mentions.... so I have been sending people links to the blog... with the message... we never went away...! So as is the tradition, feel free to discuss or tell us about anything Filofax related. Shan has kindly reviewed the new Filofax Songbird organiser, there has been a lot of interest in this new design and therefore we are very grateful for this detailed review so soon after the launch. Much ado has been made over the new Songbird Filo. It's even currently featured as the Profile Picture of Filofax's official Facebook page! I finally received my Pocket Songbird Filo last Sunday, after placing an online order for it on the Filofax UK website (it was out-of-stock for awhile), having it sent to my sister's UK address and having my sister bring it over while she visits. Between emailing the Filofax UK website to find out when it'll be available and coordinating its delivery to my sister's house and sending multiple reminders to my sister not to forget to pack my Filofax, I was very excited when I finally got to hold it in my hands! I currently use a Pocket Brown Finchley for my personal appointments, notes and information which I carry around with me in my bag. I also use a blue Personal Domino for work which hardly travels and is laid out flat on my work desk all-day. As much as I love my Finchley (It looks gorgeous, sophisticated, holds up very well even though I often just dump it into my bag and still smells of nice leather a year and a half later), I was itching to get a "fun" pocket Filofax for portable use which I can interchange with my Finchley whenever I feel like something a little more feminine and young. Filofax Songbird or Heart Organizer? The new release of the Filoxfax Heart and Songbird was exactly what I was looking for! I was initially deciding between the Yellow Filofax Heart and the Songbird. I even clicked on the Filofax Heart a few times and had it in my shopping basket before finally deciding on the Songbird when I found out that it was available and would be delivered in time for my sister to bring it to me. Why the Songbird? I will be honest - The Yellow Heart Filo spoke more to my desire for a fun-looking Filofax. It made me cheer up every time I looked at it on the Filofax website! However, being a practical person, I also thought of longevity. Would I still love my Yellow Heart Filo as much a year, two years from now? Would it start to look a little childish to me after while? Although my pocket Filofax is for personal use, I often have it sitting out on my work desk and I work in a very corporate environment. Would the Heart Filo look a little garish sitting on my desk at work? After spending a few days considering these factors, I finally settled for a Songbird! The Songbird is gorgeous. It's a very soothing mint green in color, covered in cotton canvas inside and out, with an elastic strap closing. The popper button contains the most adorable graphic of a music note, though you'll have to look closely at the product shot on the Filofax UK site to notice this. The picture of a bird perched on a branch on the inside left cover makes a nice touch. I'm sure the design will appeal most to women, nature lovers and lovers of all things pretty and feminine! § Notepad Pocket on the right cover: Since my Finchley doesn't have one, I was very impressed with this feature. I can imagine it coming it very handy as I like jotting down random bits of information and book, music and restaurant recommendations from friends. It will be nice to open my Songbird Filo and have the notepad right there, instead of doing what I do now which is to flip through my Finchley to get to my note pages section. 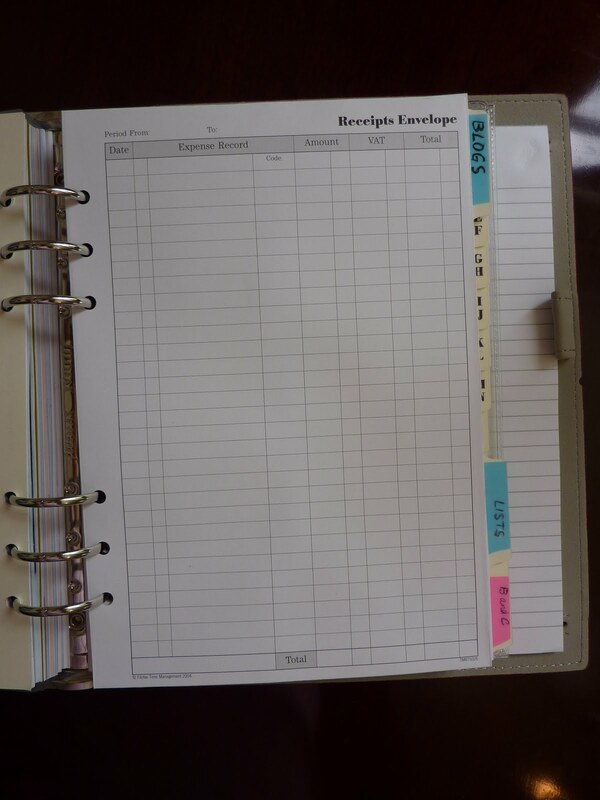 § Two types of tabs - The Filofax Songbird comes with BOTH 1-6 AND A-Z tabs! § Multi-colored tabs - The tabs are multi-colored, in baby pink, blue and green. The colored tabs go beautifully with the mint green interior of the Songbird. This is a very detailed and thoughtful touch. It is one of my favorite features of the Songbird and makes the interior of the organizer even more calming to look at, I actually smiled when I saw this! I have had a look at the Filofax UK and US website and these beautiful colored tabs do not seem to be on sale separately. § Would go well with pink diary inserts/colored notepaper - While the Songbird Filo is supplied with a white diary insert, I can imagine the pink diary inserts being very compatible with the Songbird. Colored notepaper will look gorgeous with the Songbird as well. § Choose Pocket-size for maximum prettiness/cuteness factor - For those who love their stationary cute and pretty, I think that the Songbird, with its dainty design, may look prettier in Pocket-size than in Personal-Size. While this is generally the case with most designs, I think it's more so with the Songbird. § Doesn't come in a box - When my sister took the Songbird Filo out of her suitcase, it was just wrapped in paper, Despite not having seen her in more than half-a-year, I rudely exclaimed "Why did you throw the box away?!". As it turned out, the Songbird Filofax didn't come with a box. My Personal Domino didn't either, although my Finchley did. I wonder if all lower-priced Filos do not come packaged in a box? I find the boxes very useful for storing an un-used Filofax. § Doesn't lay flat - The Songbird Filofax doesn't lay flat at all. This will be a big change for me as my current Finchley does and I like to leave it open on my desk to the current week's calendar. Will have to do more research on Philofaxy on how to train my Filofax to lay flat. While I'd expected to spend Sunday evening preoccupied with transferring stuff from my Finchley to my Songbird, the truth is, the Songbird Filo is still sitting wrapped up on my desk. When I first unwrapped the Filofax to examine it, there was a brown speck of dirt on the cover of the Songbird and when I tried to flick it off, I actually ended up smudging the dirt into the cover of the Filofax. Since the cover is cotton, it left a very faint brown mark! While this nearly gave me a heart attack at that point, I'm glad it happened sooner rather than later as it made me realize that the Songbird Filofax is as fragile as it is pretty. Unlike my trusty leather Finchley, there is no way I could just dump it into one of my bags as dirt marks show very easily on the light mint green cover. Also, I feel like I'll have to be very careful with the popper button and elastic closure strap as it might come off if I pull too hard! I'm also afraid to stuff it with too many inserts in case the elastic breaks. I'll have to be extremely cautious when inserting my pen into the pen holder and while using the notepad in case an open pen accidentally comes into contact with the Filofax interior. Can't have a Songbird organizer with pen marks now, can you? Do note that that many of the above concerns on dirt/pen marks apply to any light-colored Filofax in general. I am still thrilled about the new Songbird. It's very pretty and just looking at it soothes me and makes me happy! I think I'll buy a nice pouch to put it in to carry in my bag for daily use for awhile, and then just keep it as a collectible or use it as a notebook which will just stay in one place. I'm not very careful with my things and I think having to treat the Songbird carefully all the time would stress me out in the long-run. It wasn't that pricey as far as Filofaxes go and I'm quite happy to use the Songbird only occasionally. I'm still on a quest for a fun looking Filofax which I can use on-the-go though, and the Filofax Heart and Domino Snake come to mind. Maybe at the end of the year when my sister visits again.. So today is a fairly significant day for me. It is my last day in the office. I'm now on leave until my wife Alison and I move to France in a couple of weeks time. I packed my spare Filofax pages and inserts and my unused organisers in to a single box last night. It is very well labelled! I want to be able to find this box very soon after we arrive!! I still have my A5, Slimline and Pocket to use between now and the move, so I will not be totally without my Filofax organisers, infact they are very much part of the planning of our move. This is a big project and a major change in our lives so I've been using my A5 to keep all of my lists and notes together. But as this is Friday... what have you been up to with your Filofax lately, do you have any big projects planned this year and how are you using your Filofax to plan them? Craig has kindly sent us some pictures of the Filofax displays at The Pen Shop, where he works in Jenners department store in Edinburgh. It's a while since I've seen such a large display of organisers so well displayed. They pretty much sell all the organisers and refills that are available to them. They believe they have the largest range in Scotland. So if you are in Edinburgh pay a visit to the shop and see the wonderful display and be sure to ask for Craig.